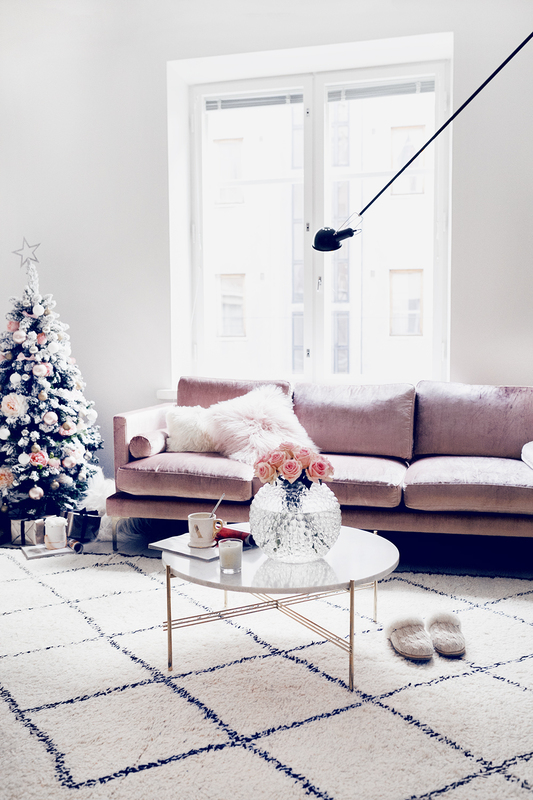 Finnish blogger Alexa Dagmar has a gorgeous Helsinki apartment. The moment I saw her beautiful living room, I thought, Wow this is my dream home! In fact, it’s just her temporary space, which makes it all the more incredible how lovely she decorated it for the holidays. 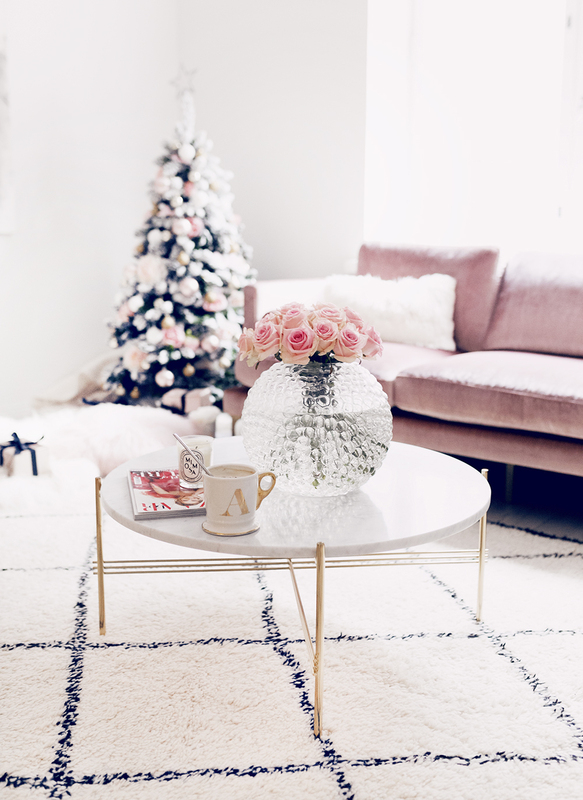 The pink velvet couch comes from Zarro. 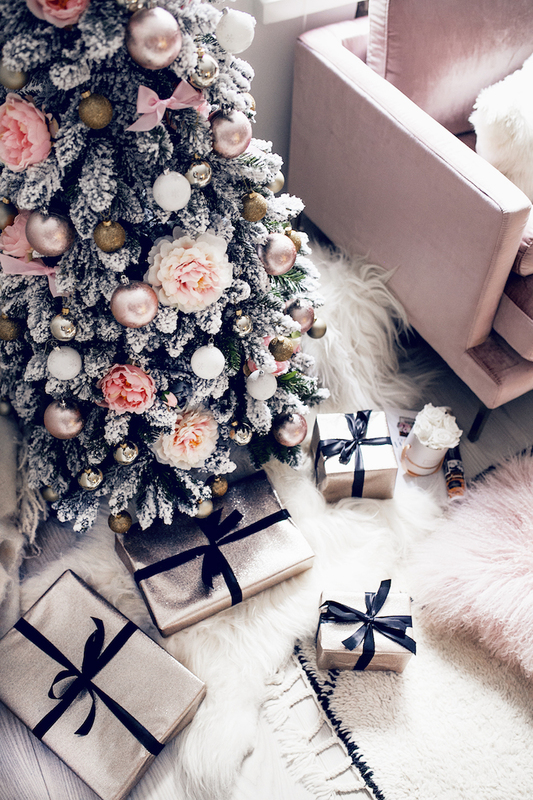 What I really love is the blush pink Christmas tree in the corner which she decorated with white and silver. 12 Gray Velvet Sofas for the Living Room You’ll Love!